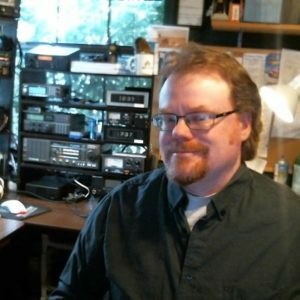 Hi, this is Chris, aka K5HRA, and you’re at Ham Radio Academy. Ham Radio Academy is a new resource for learning about the myriad aspects of Amateur Radio. Whether you’re completely new to the hobby, or an experienced operator, there will be something new for you to discover and learn. Get on the Air With Ham Radio Academy!! Amateur Radio is more popular than ever before, not only in the USA but around the world. From tried-and-true classic communications methods like CW (Morse Code) to computer-based digital modes, image transmission, or just chatting with a friend across town, or across the globe. I’m still working on the first course, the Technician License (USA) course. This course will show you everything you need to know in order to pass the FCC Technician Class exam. You’ll learn much more than that, though. In addition, when you pass your Technician Exam using the Ham Radio Academy course, I’ll send you** a BaoFeng UV-5R Radio! Not only will you have your license, but you’ll be on the air in no time flat, armed with your knowledge from Ham Radio Academy. There is plenty of free material to be found here, also. Check out the blog, where I take a look at an individual exam question per week, from each of the three FCC exams: Technician, General, and Amateur Extra. You’ll also find news of interest to Radio Amateurs, and from time to time I’ll post reviews and articles about new gear I find interesting, and I think you’ll find interesting, too. The Resources page is a great place to start to find additional reference material, communities, information, etc. about Amateur Radio, Shortwave Radio, Utility Monitoring, and much more…. Check out the FAQ (Frequently Asked Questions), Resources, about K5HRA, and don’t forget to sign up to get e-mail updates from Ham Radio Academy. If you’re already a licensed ham, and there are topics you’d like to learn more about, feel free to let me know via the contact page. ** Proof of successful exam completion and subscription to Ham Radio Academy Technician class required.